Color decisions can be the most difficult part of the process and one of the most important. We understand. Come in and meet our Colorist, Marcy Beard, well known in the Eugene community for helping people create colorful and beautiful spaces. We are continually fielding comments, telephone calls, and thank you notes from her very satisfied customers. Our in-store color decision areas are large, comfortable, and designed to facilitate the process. We provide the best environment, qualified staff, and quality color tools to go along with our best-in-class coatings. It’s worth noting that the best color palettes are selected in the environment in which they will be deployed. If your project demands it, Marcy is available for onsite color consulting through her business, Marcy Beard Color and Redesign. Color is as physically complex as our emotional response to it. The advent of color-matching computers has led the general public to believe color matching is an easy process. While sophisticated equipment has sped up the process, the laws of physics and the unpredictability of perception still exist. We work past the barriers, beyond the equipment, and produce color matches to the satisfaction of our clients every day. In the end, it’s not a match until the customer, not the computer, says so. If this process is interesting to you, look up metamerism on Wikipedia. The section on metameric failure, the most common of which is illuminant metameric failure, will give you great insight into the complex nature of matching colors. In the paint business we’ve learned to balance the sentiment that the customer is always right with this guiding principle; the customer may not always be right, but they are always a customer. Oftentimes a customer has been misinformed by some other source, be it a recommendation from a friend who did not know the details of the project, or the mountains of poor advice you can find online. We understand this, so always ask the questions that can help save you time and money by getting the project started correctly. Paint is a product that is constantly evolving. New technologies ensure better coverage and can allow for increasingly specialized uses. Most customers enjoy the process of choosing colors but it’s also important to weigh what you plan on painting, how durable you need the surface to be, and what you’re painting over. To give you the best recommendation, we’ll find out if it’s for interior or exterior use. Do you need a paint, a stain, a primer or a combo product? Do you want solvent or soap and water clean-up? Do you want it to be environmentally friendly, Zero VOC, or Low VOC? These questions tell us what’s important. For example, we’ll know that if you want a paint that is virtually odorless, Zero VOC, and Zero emissions, you’ll want Natura. We’ll then work with you to determine the best finish. With over a dozen finish options from Flat to High Gloss, there will be one that perfectly matches your project goals. Each of these questions help us understand what product and finish to recommend, achieving the highest level of satisfaction and the best value for your investment. There are a lot of options in window coverings these days, including where to buy them. With all the choices it is easy to get confused. Tommy’s has the solution. Our certified colorist and redesigner, Marcy Beard, uses the same consultative approach to window treatments as she does selecting color schemes. She will guide you through the process of selecting the right brand—from well-known names like HunterDouglas, Graber, and Comfortex—to help you find the right balance of style, functionality, and affordability. Among the things you should think about while considering window treatments is why you want them, or what function they need to perform. Privacy, sun protection, sun control? What is the desired effect when they are down? Is energy efficiency a priority? Cellular shades (sometimes referred to as honeycomb shades) offer the most energy efficiency, because of the cell shape that traps heat. There is a handful of cellular shades to choose from, including single, double (side-by-side cells), or cell-within-a-cell (such as HunterDouglas Duettes). Cellular shades are available in a black-out option for all of you that like (or need) to sleep during the day, as well as Top-Down/Bottom-Up which allows you the option of blocking the lower portion of your window while still have view of the sky. If you want to be able to see through your shades and control the light that comes in, then a louver shading system might work best for you. Wood and faux wood blinds, Silhouettes, and metals can all be tilted for sun control and still maintain an outside view. If you want a softer look, our fabric roman shades are available in beautiful fabrics. Come in and take a look! There is, of course, motorization! Marcy can fill your ears with all sorts of information. Come down to the store and take a look (Marcy is here on Friday, Saturday, and Monday) or give us a call and schedule an appointment for Marcy to come to your house with samples – at no charge! You’ve been inspired to add some color to your walls. 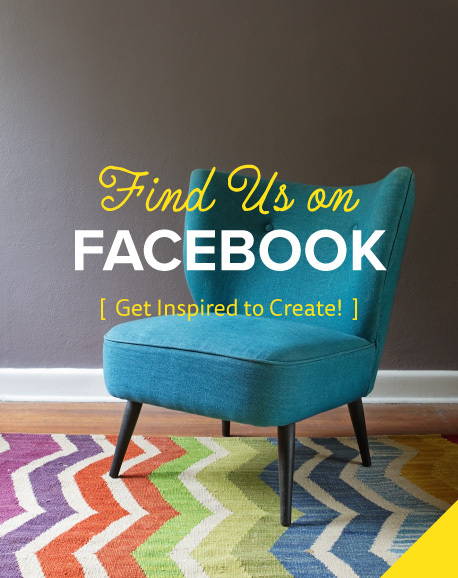 Maybe something caught your eye on Pinterest or perhaps you follow us on Facebook. Whatever the inspiration, how do you proceed with confidence? In one word, samples. At Tommy’s, we have samples in every size and format you might need. Start by taking home color strips or chips. Many of our colors are available in large format chips to give you a better feel for the color. When you have it narrowed down, the best method of sampling is to test some paint on the actual surface to be painted. For that purpose we have MiniPots, small 3 ounce jars filled with paint in your choice of over 3,500 Benjamin Moore colors. Our customers love MiniPots because they are a low-cost alternative to pints or quarts and they greatly cut down on wasted paint. MiniPots make it easy to get comfortable with changing the color of your favorite spaces.